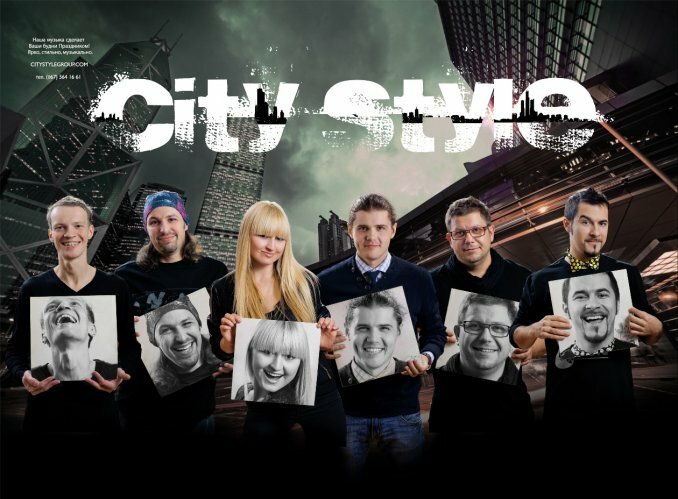 City Style cover band — Группы — Артисты — Каталог артистов LeadBook! БРАВО – Я ТО, ЧТО НАДО! ГРИН ГРЕЙ- ВСЁ БУДЕТ ХОРОШО! Drums – Drum Set (Yamaha Stage Custom or similar) – bass-drum 22'', rack tom 10'' or 12'', floor tom 16'', snare stand, 3 cymbal stands, drummer throne with adjustable screw, hi-hat stand with clutch, drum carpet, drum shield (if it’s possible). Bass - 1 х Bass amplifier Ampeg SVT PRO Series or similar, cabinet: 410, 1 х guitar stand, 2 sockets 220v. Guitar - 1 x tube guitar combo Hudges&Kettner / Fender Twin Reverb / Mesa Boogie / Marshall, 1 х guitar stand, 1 socket 220v. Keyboards - 4 DI-box, two-tire stand, 3 sockets 220v. Vocal – 2 wireless system Shure Beta58/Sennheiser ew145/165, wired Shure Beta 58A – for keyboardist. 1 boom mic stand, 2 straight mic stands. Number of monitor lines - 4. Number of monitors in first line - 2, in the other – 1. All technical questions, please consult in advance. Phone/Viber +38 067 564 1661, Skype sergeant.dk Dmitry.